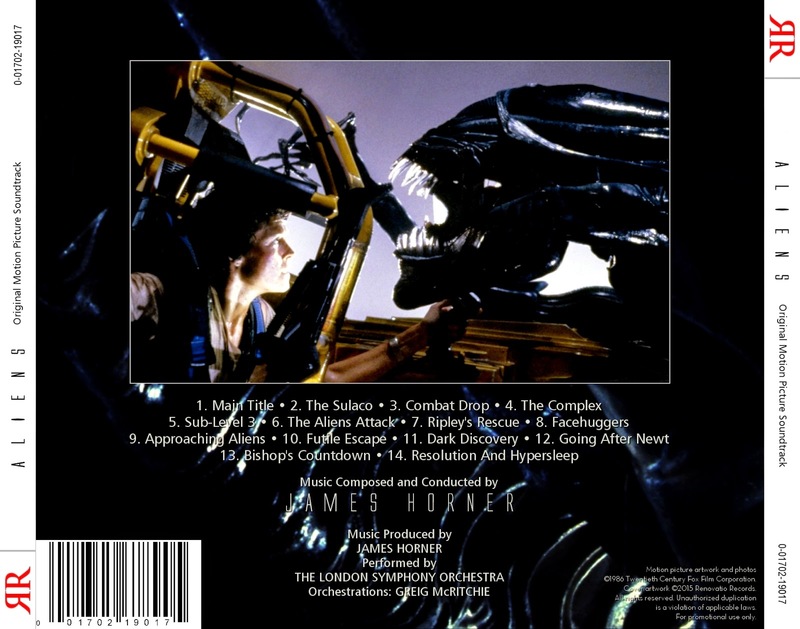 To accompany Renovatio Records previous release, we present you the score for 1986 sci-fi action film Aliens by James Horner. The film is the second installment in the Alien franchise and has Sigourney Weaver returning as Ellen Ripley, who joins a group of marines with the mission of surveying the now colonized planet of the first film. They not only find that everyone is missing, but also that the place is filled with a vicious and hostile horde of Xenomorphs building up their own hive. Directed by James Cameron and featuring an ensemble that includes Lance Henriksen, Michael Biehn, Paul Reiser and Bill Paxton, the movie quickly became a critical and commercial success and is currently considered one of the best action films ever made. The same can be said about Horner's terrific music. 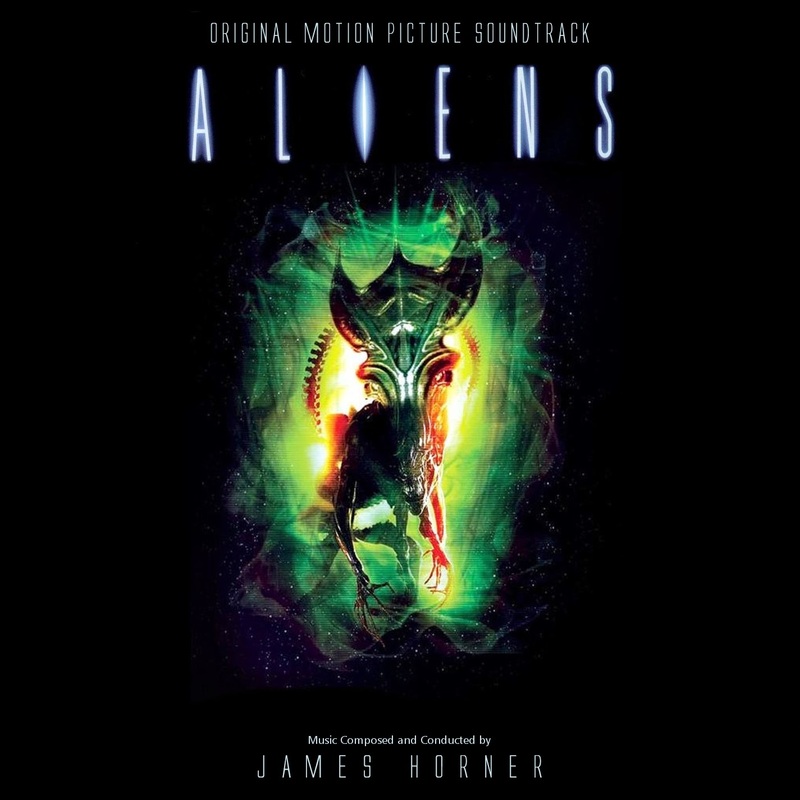 The composer, despite dealing with tight schedules, managed to produce a score that merged action with sci-fi horror, highlighted by the magnificent performances of The London Symphony Orchestra. 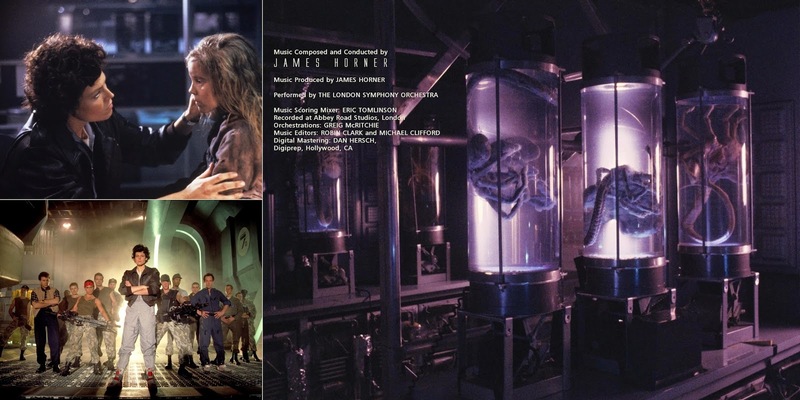 It never made it to the film as it was originally conceived, though, since Horner saw his music being replaced, moved to other scenes and chopped into unrecognisable shorter cues. 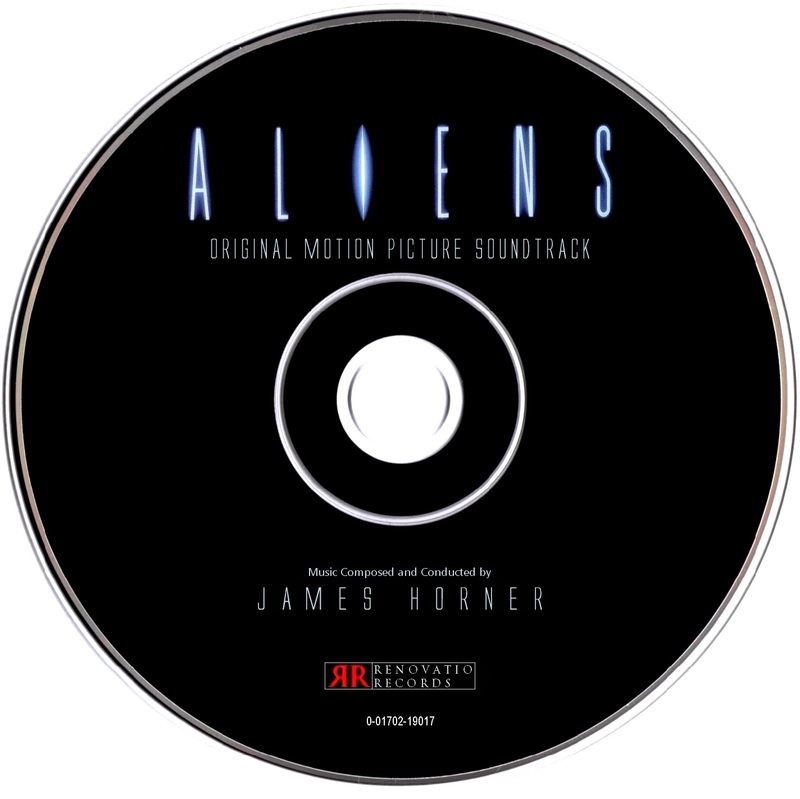 The score, however, made it to receive proper recognition as it gave Horner his first Academy Award nomination and continues to inspire many composers that tackle the genre nowadays. 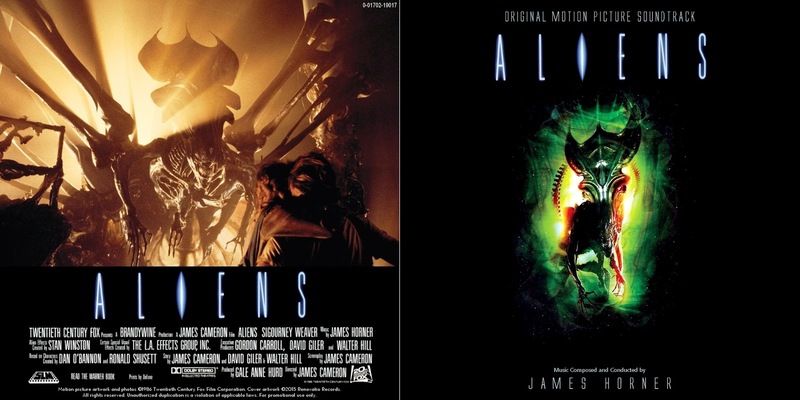 The score received two album releases, both by Varèse Sarabande, one in 1986 and the other in 2001, in the form of Deluxe edition that includes all the music written by Horner. Both album compilations proved to be quite troublesome: the first one for being way too short and not following a chronological order of tracks, and the second one for being way too long, a trait that affects fluidity and the proper enjoyment of the listener. Now, Renovatio Records brings you this new arrangement, for you to enjoy Horner's thrilling ride once more!